Thank you very much for the clear instructions. It was a great help. 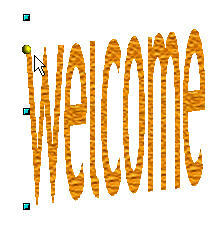 Well, Fontwork seems okay, but I really miss WordArt's ability to work with any Truetype font. Fontwork seems wedded to the default san serif font. All that can be changed are the deformation, shading, rotation, sizing and colorization of the text. While this is pretty good, I have a need to be able to different fonts to help users distinguish one block of text from other adjacent blocks. Thanks for the quick overview! That was a big help. 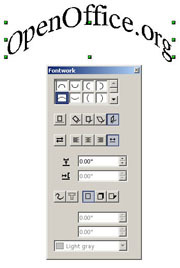 "I have a need to be able to [use] different fonts"
Double-click the Fontwork text, select the black plain text that appears, and select the font you would like. 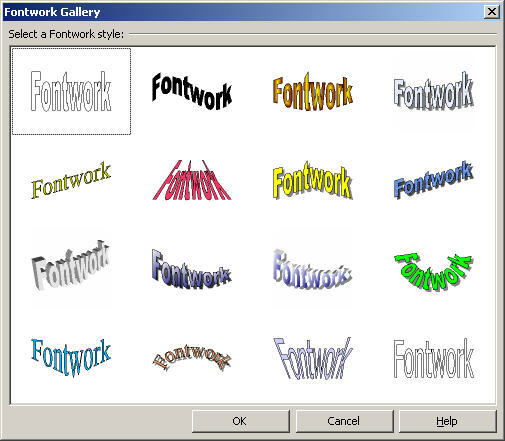 Fontwork is not limited to one font, it can use any. 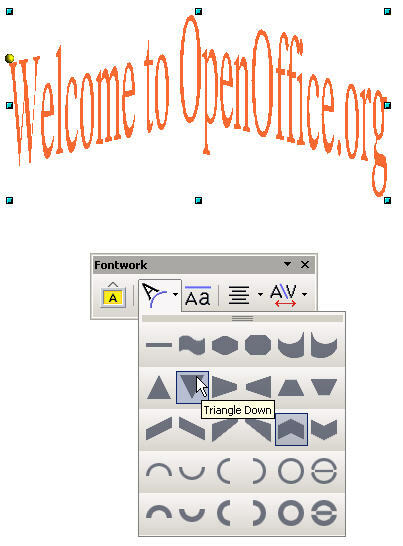 You can use any font you have installed. 3. Changing the font will now work. I got this hint elsewhere and post it here. HTH. 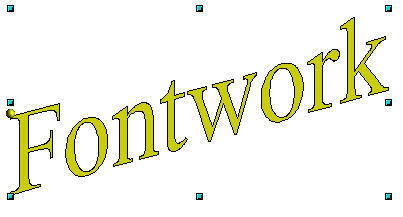 fontwork works fine, just like word art,but is there anyway to get better resolution. 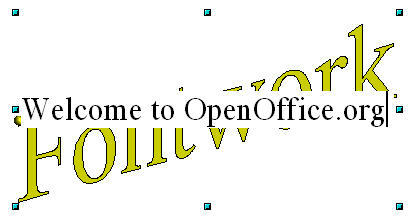 When I am designing in office 2003 (powerpoint) my 'wordart' is a lot more crisp than what I get with 'fontwork'. 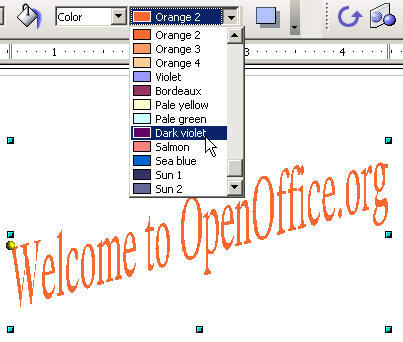 Is there any setting that fixes this, or is 'wordart' superior as far as resolution is concerned. I have recently figured out how to set my "default" settings for objects. I like "optimal" but I can't figure out how to do it in Fontworks. Every time I insert a fontworks object and click-off of it I can't select it again (unless part of it is in the margin). However, once I select it and change the setting to "wrap- optimal page wrap" then I can move it around and select it. How do I set "optimal" as my default for Fontworks? I had problems selecting too, until I discovered somewhere) that if you hold Ctrl while you select it finds the object with no problem. My difficulty now is getting Fontworrks to show two words in different colours. I can change them in the 'editable text', but when I click out to accept the changes it all shows as one colour. And setting the fontsize of the editable text doesn't seem to have any bearing on the size of font displayed. frustrating! !